The Odyssey Series are audio vignettes of various genres of music. Each illumines and explores various types of world music in celebration of diverse music traditions. In celebration of cultures and traditions around the world, TOS features artists, styles and instruments that are edifying, entertaining and educational. Treemonisha – an opera composed by North American pianist by Scott Joplin, African-American artist known for his ragtime jazz piano works. The Banjo has historically held an active role as a pivotal musical instrument in early African American folk and traditional music. However, before becoming a popular fixture in U.S. minstrel shows of the 19th century, the banjo, with ancient ties to other African stringed instruments, was first fashioned by enslaved Americans in the New World. Today the banjo, a mainstay of American old-time music forms is similar to a number of similar sounding stringed instruments around the globe from Japan’s shaminsen, to Persia’s tar, to Morocco’s sintir. And yet the banjo’s closest ancestor is likely the African kora. In various region on the African continent, the kora is chief among stringed-instruments with a featured skin head and gourd body. The African kora, the banjo’s close cousin, differs from the early African American banjo in that the neck does not possess a Western-style fingerboard or tuning pegs. Instead having a stick neck, with strings attached to the neck with loops for tuning. Banjos (assigned a number of different names) with fingerboards and tuning pegs have existed in the Caribbean as early as the 17th century. Another possible forerunner to the banjo, is the akonting – a spike folk lute played by various tribes including the Jola tribe of Senegambia and the ubawakwala of the Igbo. Similar banjo-like instruments appear in the musical family of Senegal not to mention the rich sounding ngoni of the Wassoulou regions of Mali, Guinea, the Ivory Coast as well as the more bass-like gimbri, developed in Morocco by sub-Saharan Africans. Some African were allowed to keep their instruments during the middle passage in route to the America’s. By the 1890’s a newer version of the banjo emerged in which the round gourd-sound-chamber was replaced by a drum-like sound box with 5 strings and a fresh tuning system. In time the modern American banjo has become a regular member of music styles and ensembles that perform traditional folk, bluegrass, country and more with players like Taj Mahal, Bela Fleck and the legendary Pete Seeger. Moussu T e Lei Jovents consist of the founder of Massilia Sound System (Tatou) together with its guitarist (Blu) and a famous Brazilian percussionist (Jam). 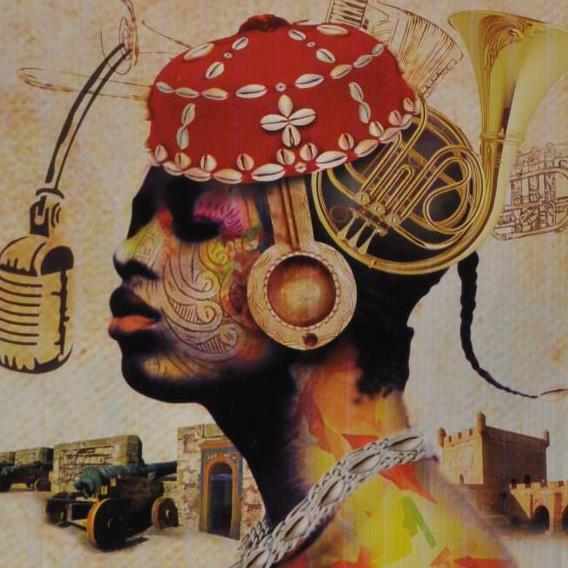 The group takes its inspiration from Marseille in the thirties, a veritable musical melting pot, where Provencal songs could be heard alongside local operettas and the Afrocentric sounds of the West Indies, Brazil, and the blues and jazz bursting onto the scene at the time.